Public education is the essence of public relations. Public education work with ICCC involves creating a savvy strategy and a compelling story to help target audiences understand and connect with a brand. The strategy is then delivered in a planful way over time with tools, materials and on platforms that are most relevant to these audiences. The “public” can be consumers, business customers, the general public, opinion leaders, public policy influencers, or whoever you want to build a relationship with, inform or influence. ​NBR segment introduces Noodle Education’s solutions to overwhelming education searches. Learn about the launch of the first life-long education search engine. NY1 captures distribution of donated KEEN utility boots to residents affected by Hurricane Sandy in Staten Island, NY. Additional KEEN contributions of shoes, socks and cash were made throughout the region. DHL brings thousands of pizzas and a taste of home to troops in Iraq and Afghanistan in time for the 4th of July, working with Pizzas for Patriots. ​Created and implemented a brand campaign for KEEN Footwear to establish its thought leadership and engage consumers with Recess is Back. To encourage 10 minutes of play every day for adults and families to become healthier and happier, stories ranged from heart health to parents taking recess, findings from a Survey on the State of Workplace Recess, and small business recess. "Ivy is a fantastic PR partner and one of my favorite people to work with. Like all large companies we had multiple needs, many at exactly the same time. ​Launched the only website with trusted J.D. Power Research (jdpower.com) content, including fresh and trusted information that could help consumers make smarter decisions across e-commerce, consumer, automotive, telecommunications and financial services sectors. ​Partnered with Nickelodeon’s Big Help to launch a youth volunteerism campaign featured on national television. ​For the Wizard of Oz 50th Anniversary, created media event with MGM sending Dorothy, Scarecrow, Tin Man, Cowardly Lion and Toto back to Kansas in a “Just Say No” hot air balloon with a star-studded send-off. 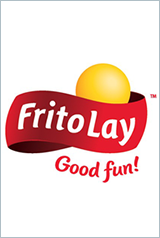 delivered national cause related anti-drug promotion through concerts, in-store campaign and charity information on 50 million bags of Fritos. Our clients count on ICCC for help with brand positioning, product and service launches, content strategy, corporate communications, crisis and issues management, corporate social responsibility, and more. You can too.